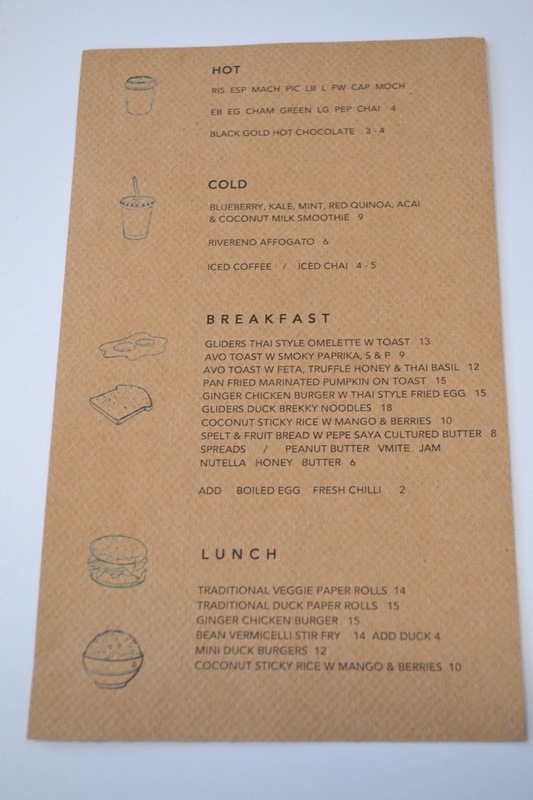 Glider KS is the sister store to the original Glider Cafe in Potts Point. The KS stands for Kensington Street – the newly renovated lifestyle precinct where you will find the cafe nestled in one of the vibrant laneways. 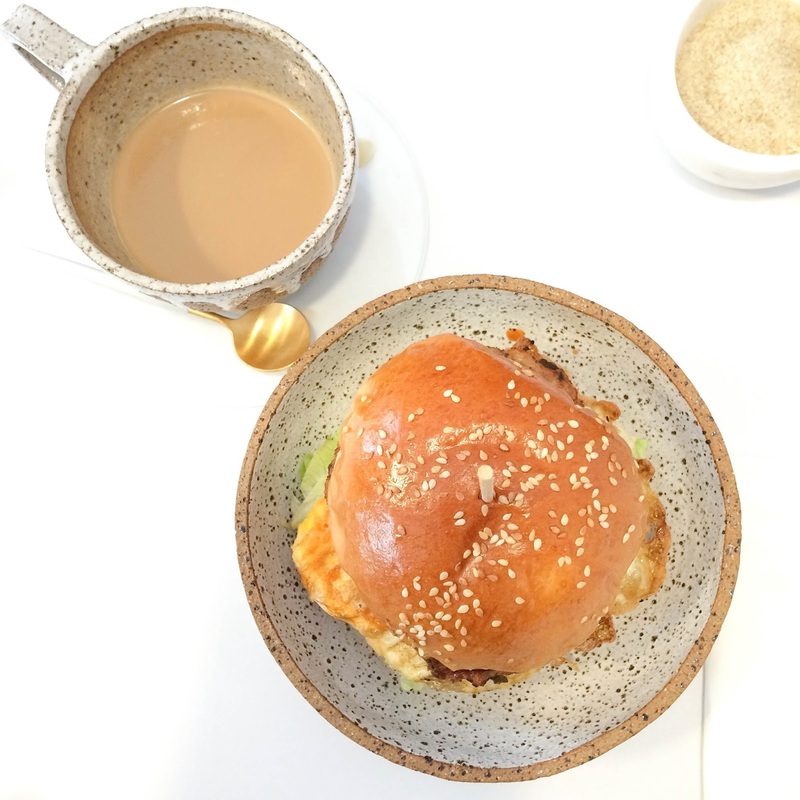 You’ll find a Thai infused breakfast and lunch menu here, I took the waiter’s recommendation and picked the Ginger Chicken Burger with a Thai Style Fried Egg. 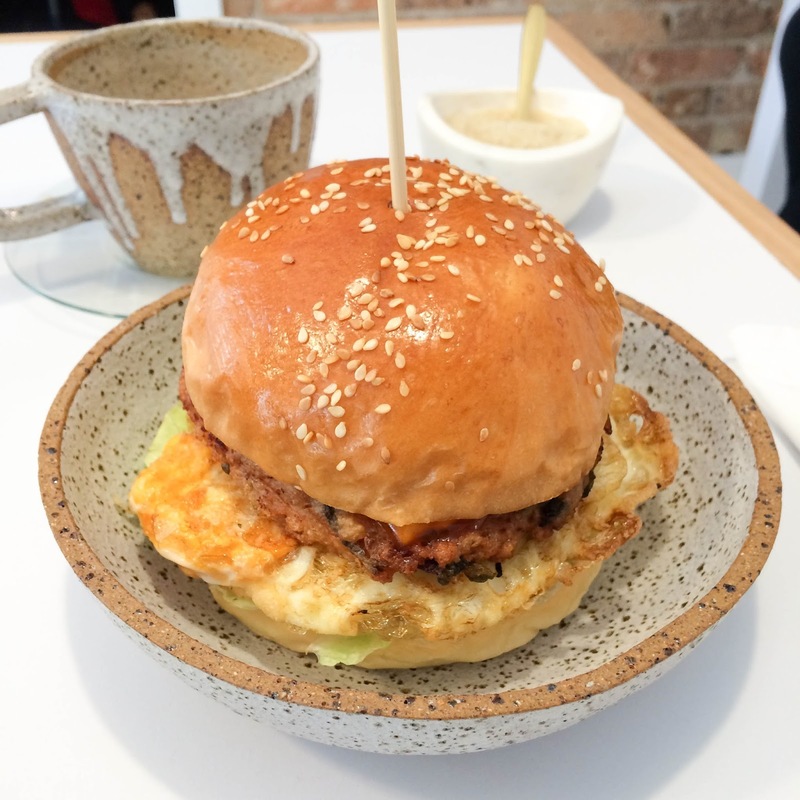 The burger has a decent sized chicken patty that’s filled with rice vermicelli, crispy fried egg and lettuce served on a soft bun. I never judge a book by its cover but I do judge a cafe by its crockery. The crockery at Glider KS are pieces of art. 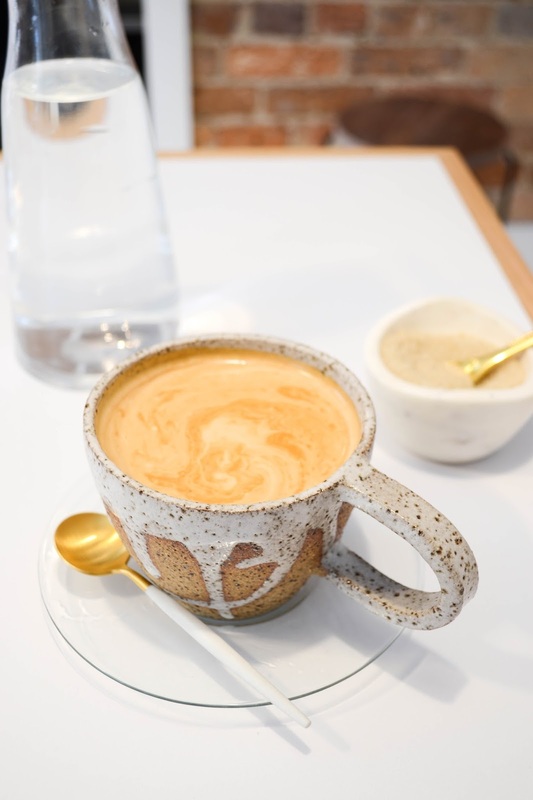 Cups and bowls are made from what seems like speckled earthenware paired with gold leafed spoons. The clean, white decor combined with the gorgeous serving ware will defintely turn Glider KS into the next Instagram hotspot. Get in quick before the social media buzz sets in (and the lines start growing). ooh that burger sounds great, is there grated ginger in the patty? Does anyone know their opening hours?